This is part 7 of the blog series. Previously, we have installed a local instance of the Sitecore site, configured VS project, configured TDS, configured Sitecore Glass added our project to source control and congured DB and QA servers. 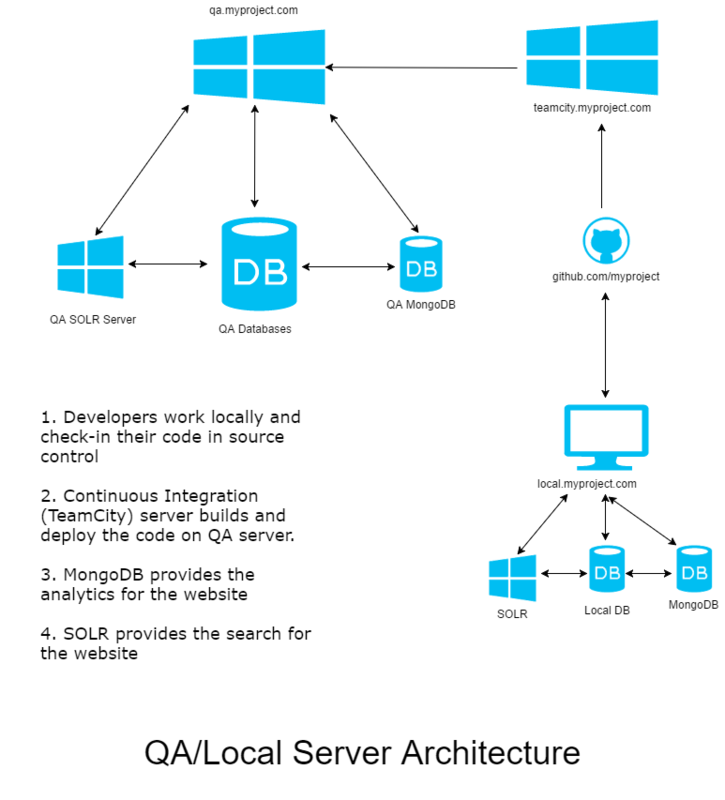 This is a pretty lengthy blog and contains with lots of screen shots for every step of the TeamCity server configuration. 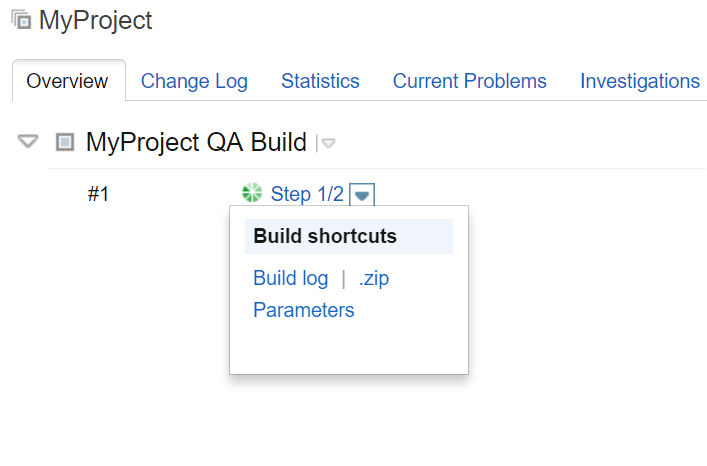 If you get stuck at any point please look at the CI build logs, QA server logs and utilize Google to resolve your errors/issues. The blog series is aimed at newer audience and developers who are setting up CI for the first time. 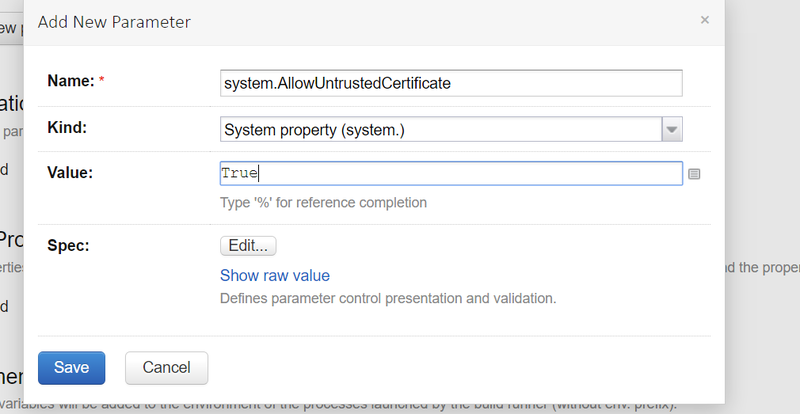 Select ‘Create build configuration from URL‘ and give the source control URL of your project along with login details. If you are using any front-end frameworks, like Gulp or Grunt, you can also add a step for them using Node.Js as runner type. Once you install this, you will notice that there are some changes in your web.config files as well, check-in all of your changes and push them to the server. An update package has been generated, now we want to deploy and publish this package along with our code to the QA server. We will be using curl to post HTTP request for update packages. Chocolatey is a package manager which can give us access to curl through its command line. There were few tools and configuration were settings introduced in the previous steps and to make sure everything works as expected perform a test build. If it fails, look through the logs and try to resolve issues. Some places where you also want to look are Sitecore Logs (in the data folder) on the QA server and website/temp folder on the QA server. 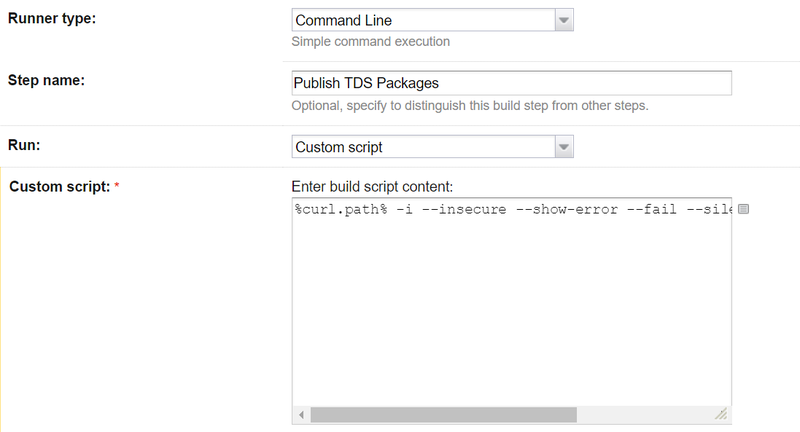 When I ran the first build, I got 500 error in the TeamCity build log for the TDS.Master deploy step. The error messages within the build log for Sitecore.Ship are not exact messages and may be misleading, you need to check the logs on the QA server for correct messages. Once checked-in and pushed to the server, I got some more errors related to missing folders and permissions. I was able to resolve them by checking the logs and giving NETWORK SERVICE permissions to the folders. This is great news, it means that when I check-in TDS items and related code, I do not need a package to update the QA server ‘manually’. I can just run the build and it will pick up the latest changes and deploy them. Run a test build to confirm it is working as expected. 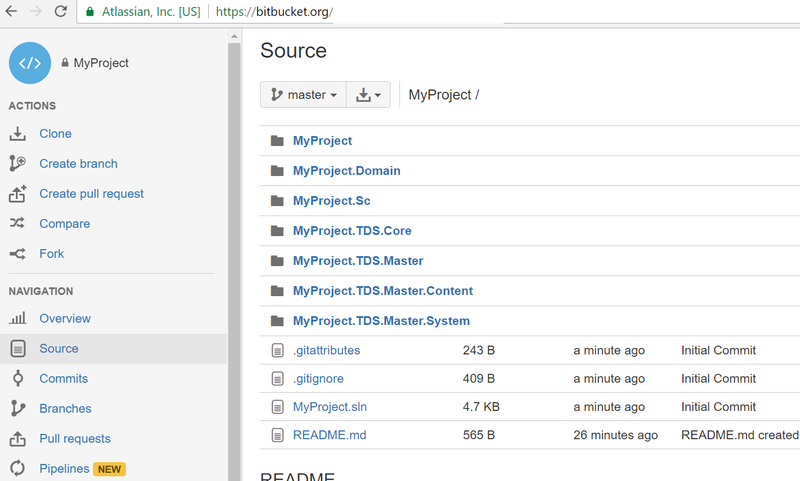 One more step is to configure TDS.Core project with TeamCity server. We want our TDS project to generate an .update package for the TDS.Core project. Depending upon your project and business requirements, you may want to add more steps like ‘Unit Testing’ or ‘Integration Test’ or other steps. 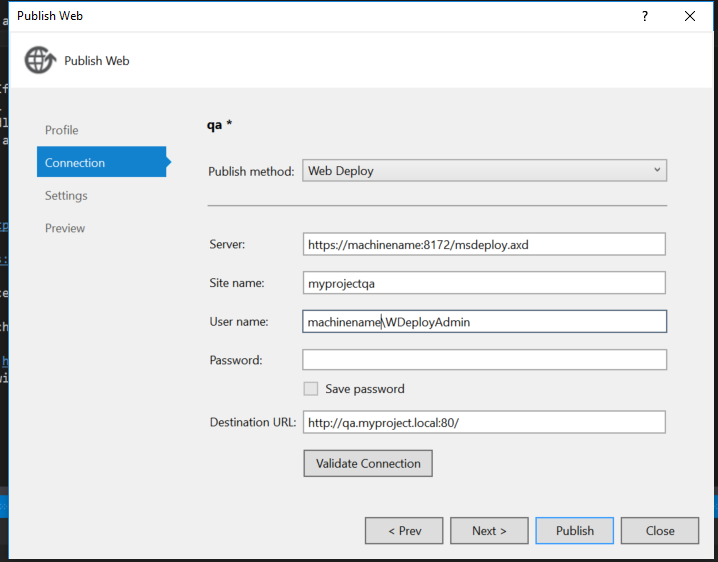 The blog post only showed how to add build steps for the QA environment, but you may have a UAT environment, a staging environment and a production environment. 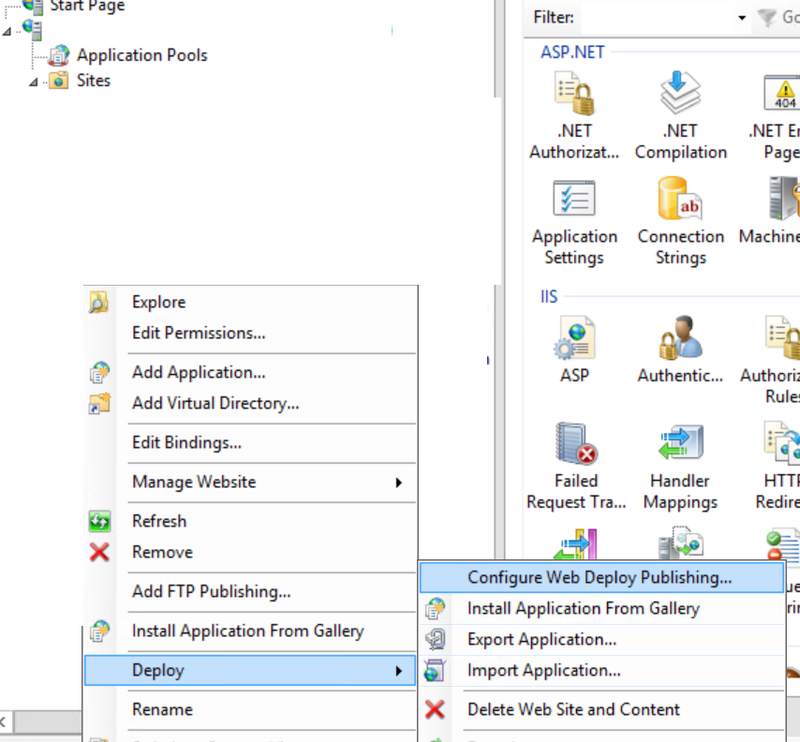 You can repeat the build configuration process and add more automated deployments for each of your environment. The steps mentioned here are only an example and meant to provide the basics of setting up CI integrations. Once you get comfortable, you can enhance number of steps and/or use different deployment strategies. As you have seen, it took few blog posts to get the Continuous integration working, but once it is established, it will save you tons of time during the application development and even post-launch. If your organizations sets up projects frequently, the time to setup QA, DB and CI servers and local environments can be further reduced by using standard PowerShell scripts. One final optional blog post about Slack notifications is coming up next few days and then it will be a wrap. This is the part 4 of the Sitecore DevOp series. Previously, we have installed a local instance of Sitecore, created it’s VS project solution and added TDS projects. In this blog post, we will configure Sitecore Glass Mapper for automated code generation using T4 templates. The blog series is aimed at newer audience and developers who are setting up CI for the first time. Sitecore Glass is an Object-Relation-Mappper (ORM) for Sitecore items. A common ORM that you may have worked previously would be Linq to SQL. Sitecore Glass helps in referencing Sitecore data item properties by using strongly typed C# objects. It is an open-source project and more information and tutorials are available from their official website. Sitecore Glass Mapper is available as NuGet package from the official Nuget feed server. 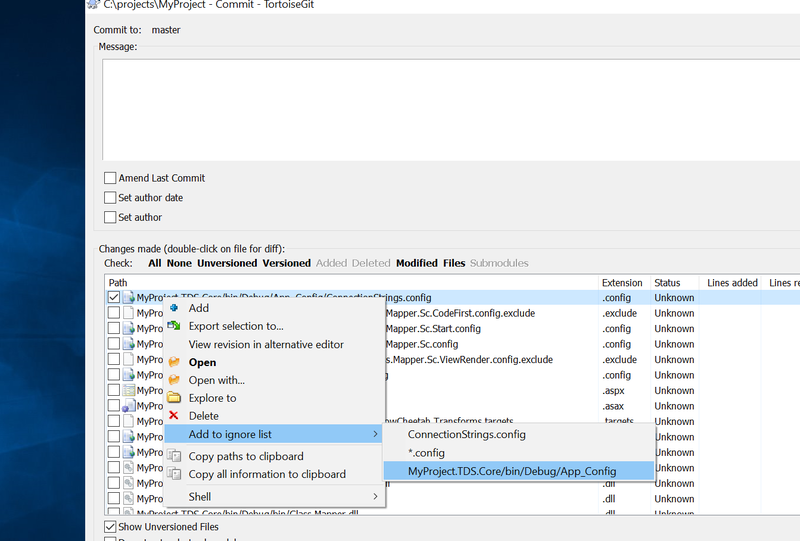 Install the same NuGet package for the ‘MyProject‘ , which is your main MVC project. As of now, upon successful installation, you should see references to Glass.Mapper, Glass.Mapper.Sc and Glass.Mapper.Sc.Mvc. 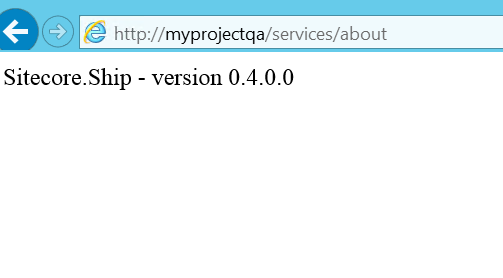 As a starter, download the T4 templates as provided by the HedghogDevelopment github repository . 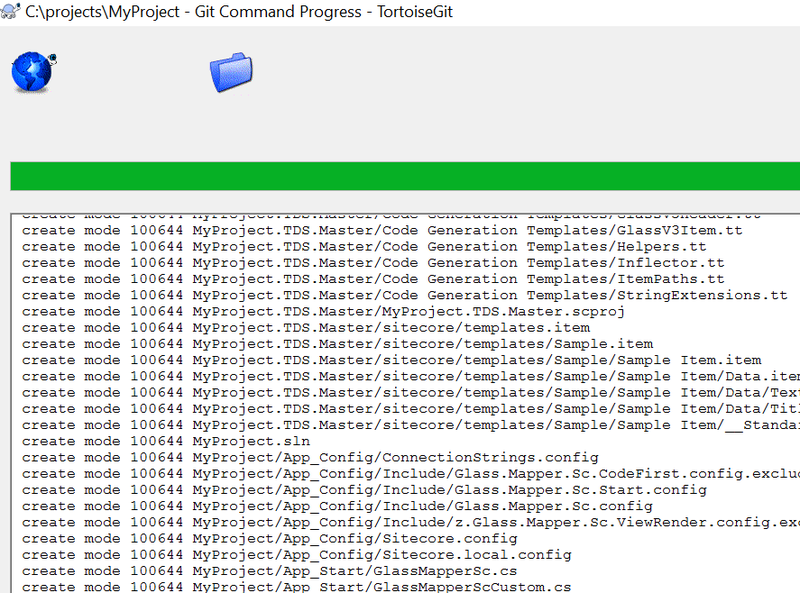 Navigate to ‘TDS.Master’ project properties > code generation tab and check the box for ‘Enable Code Generation’. 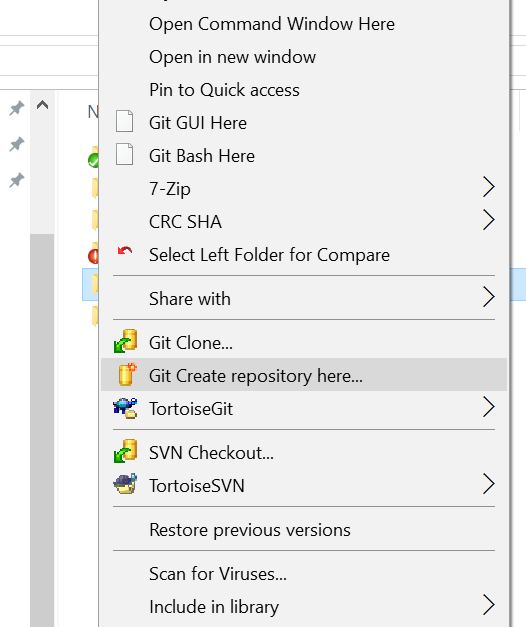 A folder will appear in the VS tree view as ‘Code Generation Templates’. Copy the downloaded T4 Templates files (with extensions .tt) that you downloaded from github within that folder and include them in the project via VS. Adding reference to Glass mapper and configuring TDS project with code generation will make sure that any field name changes that you make in data templates are reflected back in the code. If there are any compilation issues due to referencing make sure you .NET version is correct. We are all done in setting up the project locally, the next step is to add our project to a choice of our source control so it can be shared with rest of the team and with our build server. This will be explained in the next blog post. In previous blogs of the DevOp series, we have installed a local instance Sitecore and configured our VS for the sample Sitecore project. In this blog, we will add Team Development for Sitecore (TDS ) projects to our VS project. The blog series is aimed at newer audience and developers who are setting up CI for the first time. Why do I need TDS ? 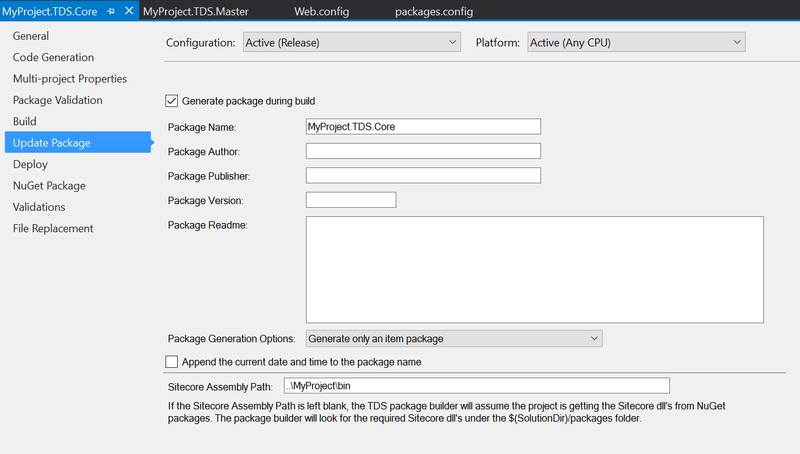 TDS is a great product for developing Sitecore projects. If you have not used it before, I would strongly recommend using it for your existing and new projects. The TDS seamlessly integrates with the Visual Studios and gives you a lot of options to manage Sitecore items. 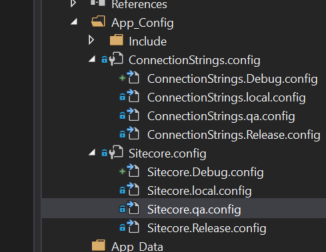 One of the main feature of TDS is that you can store Sitecore Items as serialized files on your local machine and push them to the source control repository. 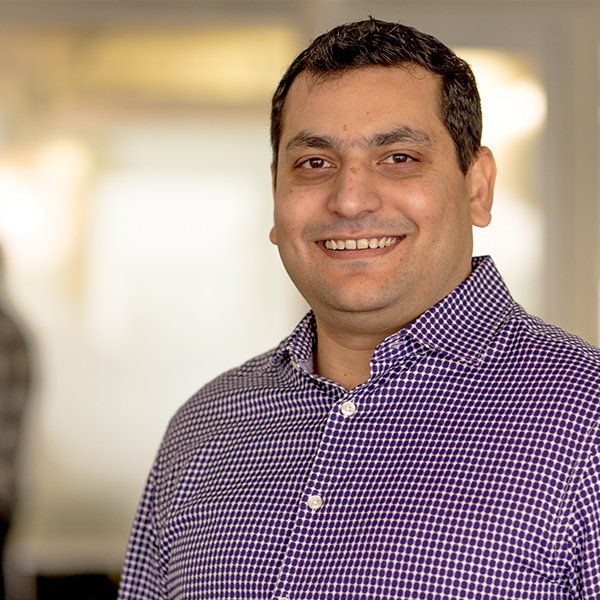 The development team can get the latest from source control, sync changes using TDS commands and update their local instance of Sitecore databases. This feature alone will save you and your team hundreds of hours development time. The TDS can also automatically package up the data template changes for installations and deployments. 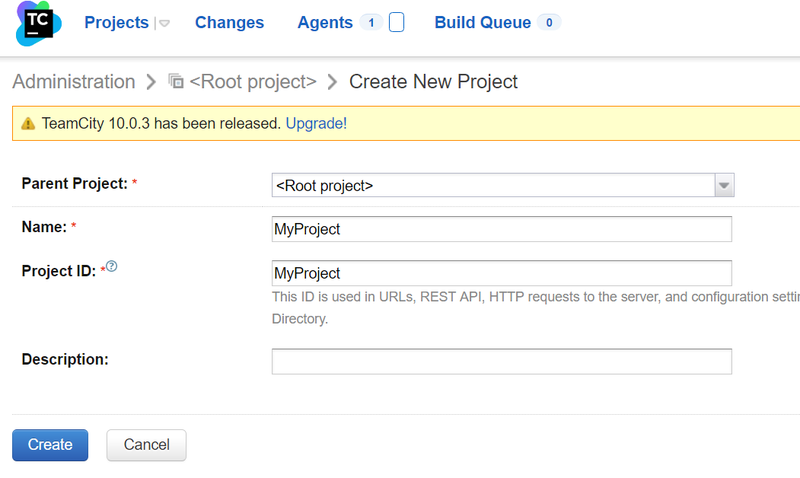 It also gives you many more advance features for continuous integration which you can read on their official site. TDS.Core project will be used to store any Sitecore’s Core database items like custom profile item or a new field type information. TDS.Master project will be used to store Sitecore’s Master database items that are more specific to developers like templates, renderings, layouts, placeholder settings. TDS.Master.Content project will be used to store Sitecore’s Master database items under the ‘Home’ node. If you have multiple sites, you can have multiple TDS.Master.Content projects, one for each site. 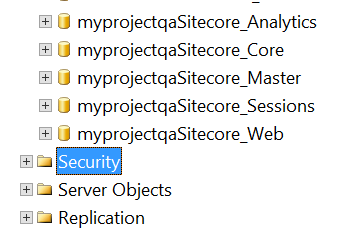 TDS.Master.System project will be used to store Sitecore’s Master database items under ‘System’ node. The ‘System’ node have items like ‘Workflow‘ or ‘Publishing Targets‘ or ‘Sitecore Powershell Scripts‘ that should be part of the source control, but we don’t necessarily need to deploy them every time. All of the above TDS projects are optional and are meant for simplifying the deployment process as you will see in coming posts of the blog series. 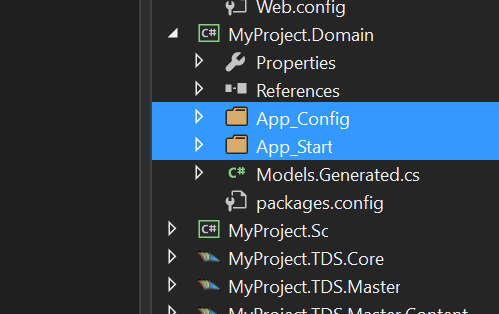 Assuming that you have installed TDS for the correct version of your Visual Studios, right-click on the VS solution and click on ‘Add New Project’ and the select ‘TDS Project with Wizard’. This step is similar to the previous one, except there is a small change when adding parameters on screen 2 of the wizard. 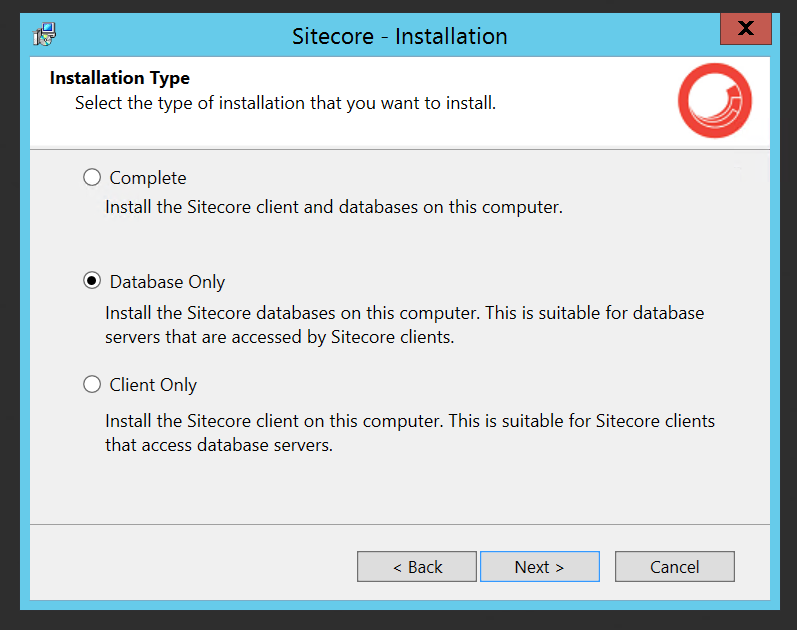 On the second screen, make sure to change the ‘Sitecore Database’ option to ‘master‘ and also un-tick the ‘Install Sitecore Connector’. New project should be added on clicking Ok. 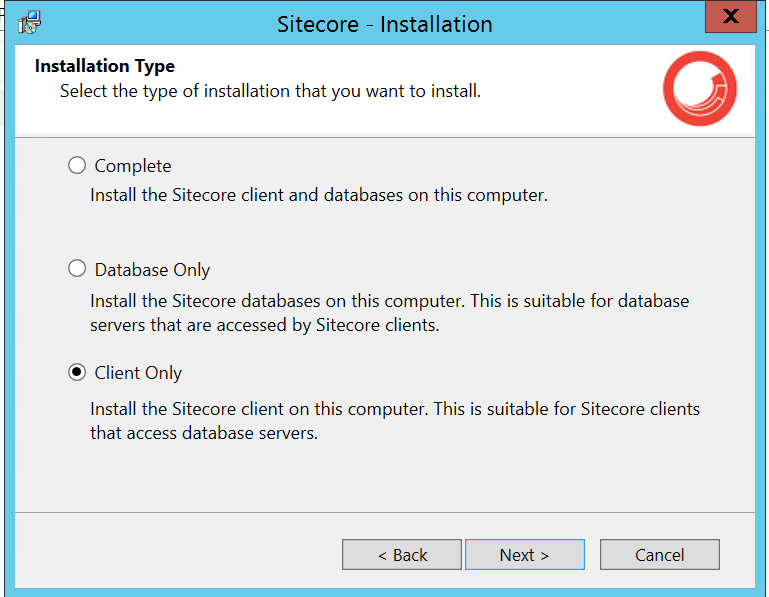 This is intended behavior as during setup of the TDS.Master project we left the ‘Install Sitecore connector‘ option un-ticked. If you have left it ticked during the project wizard, it will create a different Access GUID for each project which will be incorrect for our 4 TDS project setup. 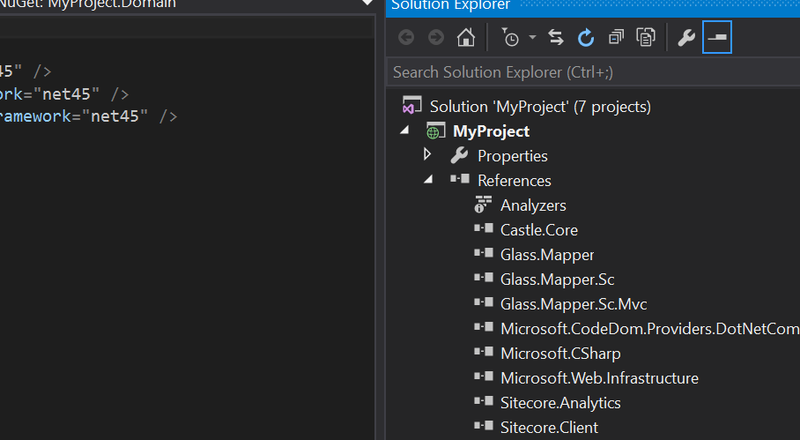 That’s it for now, in the next post we will configure Sitecore Glass Mapper, TDS with T4 templates and auto-code generation for the Sitecore data templates.